If you were involved in an auto collision and have been left injured and shaken up, turn to a Springville car crash lawyer to help you regain your composure and fight for the compensation you deserve. Being in a serious car crash is a shocking experience that often leaves both drivers and passengers suffering from life-threatening injuries. At Craig Swapp & Associates, we make it a priority to put your recovery first. While you begin to bounce back, your experienced car accident attorney will work to build you a case so compelling that the insurer will have no choice but to fully compensate you. Insurance policies are supposed to protect you when the unthinkable happens. You’ve paid your policy premiums every month, and now that you’ve been seriously hurt in a Springville car accident, the car insurance company denies your claim or makes a laughably low offer. The stress and anxiety from that initial communication with the insurer is something no car crash victim should have to experience. That’s why we urge you to allow us to handle the insurance company for you. We know firsthand that the insurer is going to try its best to minimize your compensation, and we know how to fight back. Because Utah is a no-fault state, you likely have a personal injury protection (PIP) insurance policy, so you will have to rely on your own insurance company to cover your damages up to a certain limit. Your Springville car accident lawyer will negotiate with the insurance adjuster for you and ensure that any attempts to place unnecessary financial strain on you are quickly and efficiently addressed. Utah uses modified comparative negligence to determine the amount of money you’re entitled to after a car crash. So, if you have to file a personal injury claim against the at-fault driver, your responsibility for the accident will be assessed and subtracted from the compensation you’re awarded. If you are more than equally responsible for the crash, then you won’t be able to collect personal injury compensation for your Springville car accident at all. Which Damages Can I Pursue? This list is not complete and will vary with the severity of your injuries. It is critical that you seek the assistance of a Springville car wreck lawyer who has the experience you need to make sure the full impact of your injuries is included in what your personal injury claim is ultimately worth. The trauma inflicted by a devastating car wreck is something no one is prepared for. 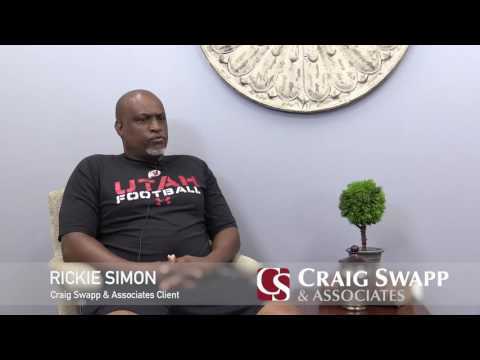 The attorneys at Craig Swapp & Associates can walk you through the personal injury claim process while taking care of the specifics of your case. You should be spending your time on your recovery instead of dealing with the insurance company and negligent drivers. If you’re interested in enlisting the help of a Springville car accident lawyer, simply fill out the contact form at the bottom of this page or call us today at 1-800-404-9000.